Mouse Chat Steve, Bob, Chris and Lisa, take a Griswold Family Vacation to Gatorland in Orlando FL. Come with us on our tour of Original Florida attractions. 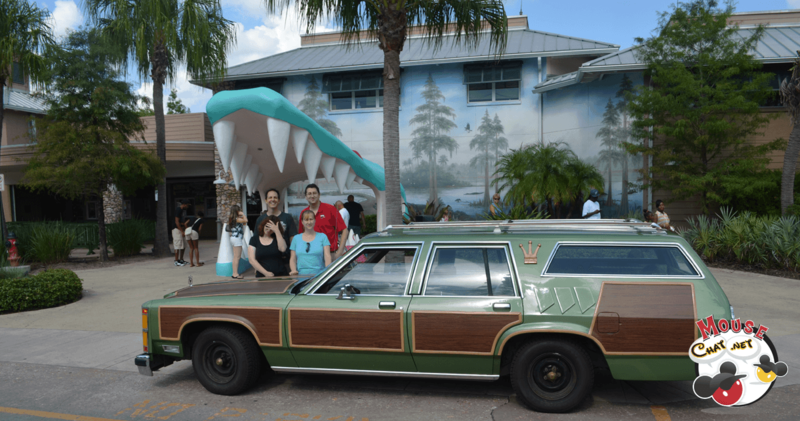 This week we loaded everyone up into the Griswold Family Vacation Truckster and headed over to Gatorland. If you don’t already know, Steve and Lisa Griswold do a weekly radio show (Podcast) called Mouse Chat. And on our road trip to Orlando we got to meet up with our co-hosts from the show at Gatorland. Gatorland is the original attraction that opened in Orlando Florida in 1949, well before Disney World, Sea World, Universal Studios, etc. 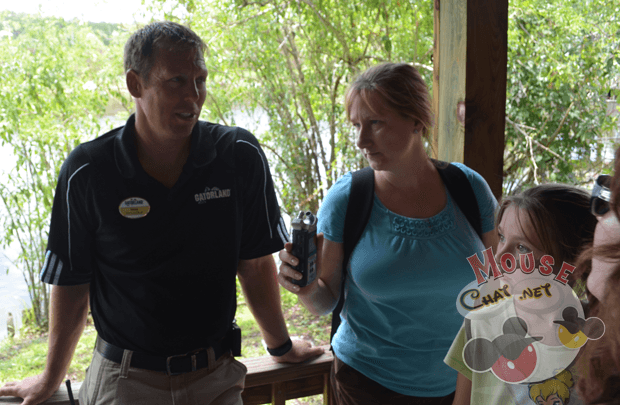 We met up with our Mouse Chat radio show co-hosts and with Mike Hileman, the Director of Entertainment and Adventures Programs at Gatorland and spent a day touring the over 110 acre park. There is so much more here that I imagined. For some reason I thought we would see some gators, take a few photos and that was all Gatorland would have to offer, but it’s massive and thankfully, considering it was the middle of July, it has large covered walkways around the majority of the park which keeps you in the shade and also out of the rain. 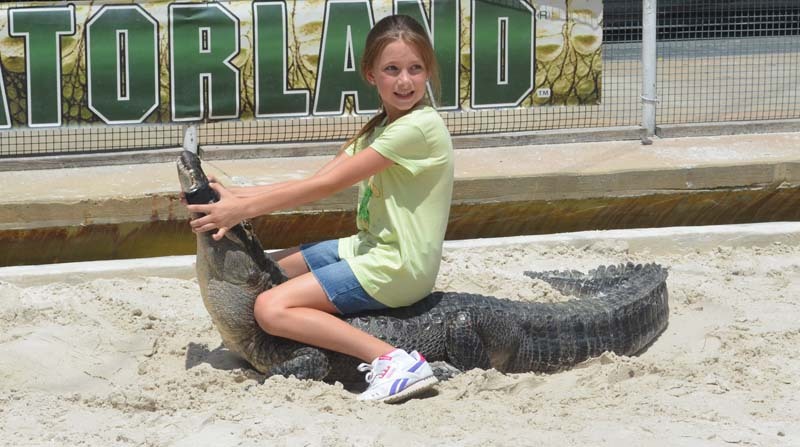 Gatorland has attractions for the entire family, from shows, exhibits, nature trails and boardwalks into the marsh, petting zoos, and a large water play area so the kids can cool off. There is a Gatorland express train and for those that want more adventure, you can also zip line over the gators. Yeah we passed on that one, but it looked like fun. 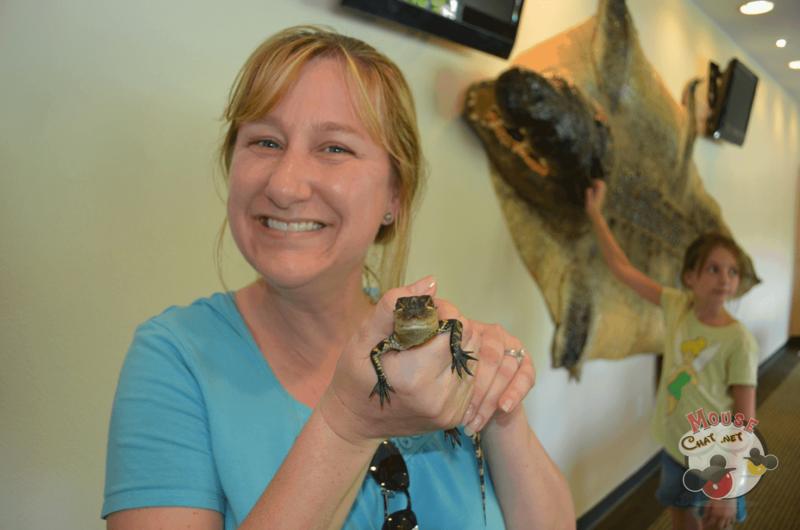 Want to see a crowd of gators up close? You can feed them. Turkey Franks are available for sale–yes, they eat turkey hotdogs instead of pork, for a balanced diet. The price for park admission is very reasonable. For $25 you get a full days admission at Gatorland and you can easily make this a full day just by following the Gatorland show schedule. You can get amazing photo-ops at Gatorland. The gators are not harmed in any way and most are out in a massive natural breeding marsh area with birds, deer, and all sorts of wildlife that have come to the area to call it home. 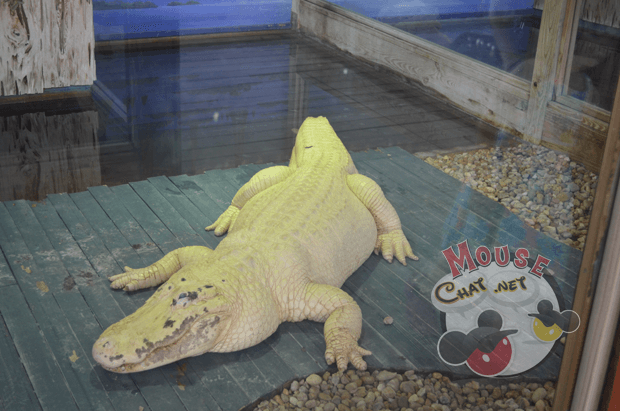 The white alligators are in large enclosures and must be kept inside to keep them out of the sun. They would not survive in the wild due to the pigmentation of their skin. The park is an easy drive from the other Orlando attractions and has two large parking lots with an overflow lots. I had no idea how popular Gatorland was. The parking lot was jammed packed when we arrive right at lunch time on a Sunday. Even with the parking lot filled that park is so large that you feel like you have it almost all to yourself as you walk the boardwalk and encounter the wildlife. 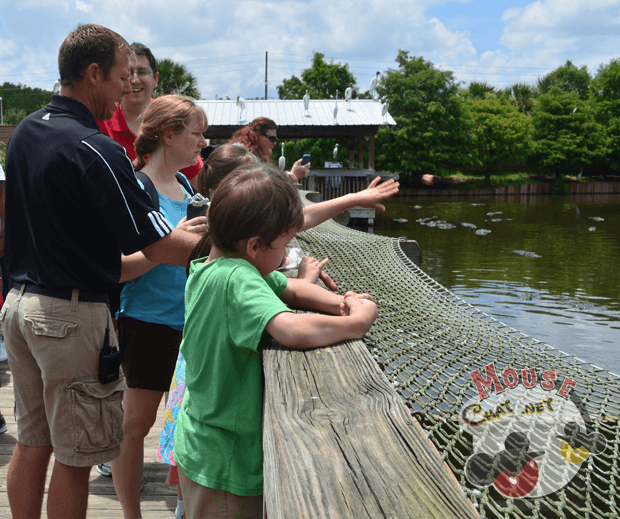 Feed the gators at Gatrorland. They eat turkey hotdogs. 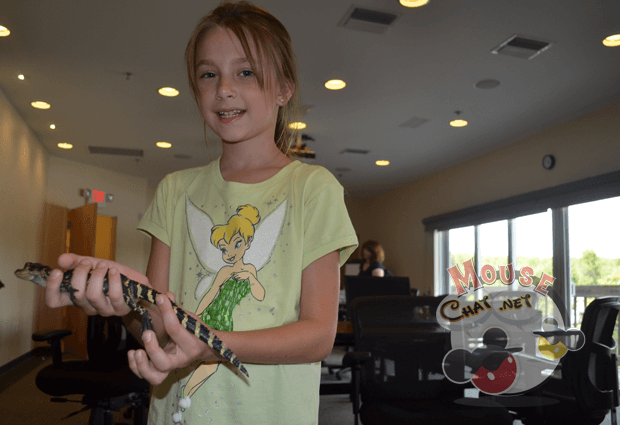 Mouse Chat at Gatorland in the Griswold Family Truckster. 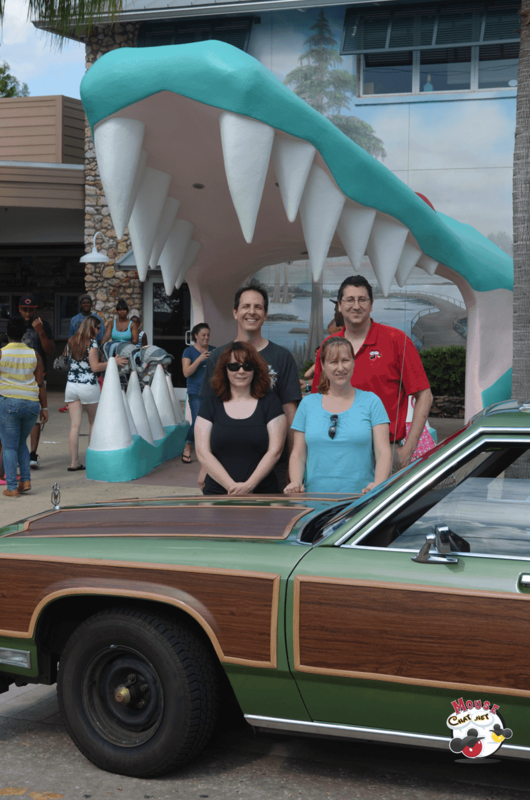 Mouse Chat goes to Gatorland in the Griswold Family Truckster. Steve, Bob, Chris and Lisa. Don't miss our road trips across America, or our "Truckster Talk" Interviews. Subscribe to our YouTube Channel and watch all of our shows here. Take your own family on Vacation. Contact a Pixie at Pixie Vacations for a Disney Vacation Package Create your own vacation package. Universal Orlando Resort Vacation Packages Beaches Resorts Turks & Caicos Family Vacation Packages.